While working as a business consultant, Sudbury native Jared Nicholson saw how important legal services were to international companies. Later, as a law student working at the Harvard Legal Aid Bureau, Nicholson witnessed how legal services are equally powerful for low-income clients facing issues related to housing, employment, and other basic needs. When he was selected for a Skadden Fellowship in 2014, he decided to combine these concepts, creating a Community Development Practice at Northeast Legal Aid that focuses on providing legal assistance to low-income entrepreneurs and small businesses in Lynn and Lawrence. The services provided by the Community Development Practice include business licensing, permitting, and zoning; tax planning and compliance; employment law; and assistance with commercial real estate leases. For individuals who have strong skills and bright ideas, but otherwise would be unable to afford an attorney, legal services can be the gateway to economic opportunity. Nicholson says the best part of his job is helping his clients achieve their goals, and seeing the role they play in revitalization of their communities. 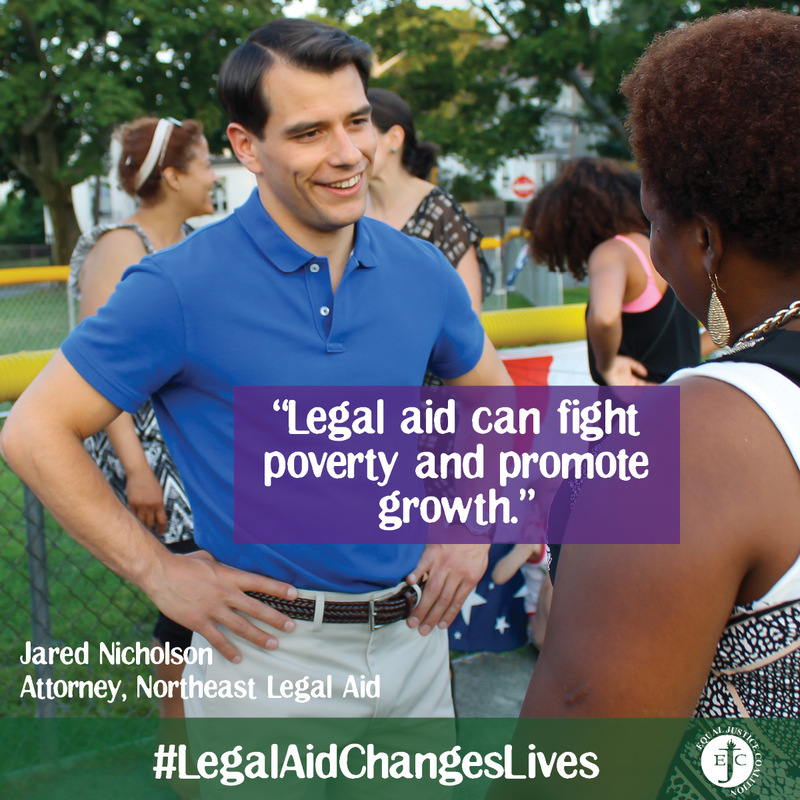 With this innovative work, Nicholson and Northeast Legal Aid are proving that legal aid, in addition to assisting individuals and families in crisis, can be an engine of economic development.